Ultra HD gaming experience is the dream of every gamer therefore we are here with the best 4k gaming monitor 2019. Gaming has never been easy, to be the best you need the best. To play the games in high ultra setting, you will definitely need the best hardware in the market. A common Pc is good enough for a common Pc user, as long he is doing editing, saving or creating files but if you are a gaming enthusiast. Choosing the gaming PC components is as vital as one’s choose weapons before going to battle. If you wanna feel the next level experience and fill the high-end gaming requirements, you have to choose your hardware very carefully. Gaming monitor is one of the main components of the gaming PC. To feel the high-level display colors and best gaming experience, you need the best in the market. Why will one need a best 4K gaming monitor? If you are playing a game like Assassin’s creed odyssey with high graphics, you will have to choose something extra like 4k gaming monitor to bring something extra to the table. If you don’t, you won’t be able to play in super high definition you should choose 4K monitor which brings the best games in a super-high definition and will really shine high definition graphics for you. Best gaming 4K monitor is becoming standard instead of an exception. How to select the best monitor for 4K gaming? Selecting right monitor is tricky, the quality you should keep in mind is high resolution, low latency, and more accurate colors. So, we are making it simple for you, by going through our buyer’s guide you will be able to find the best 4k gaming monitor. The needs of every gamer are different, whether you are playing single player or multiplayer we shall help you to find the best 4K gaming monitor. We have chosen some of the best 4K gaming monitors for you that will fulfill all your requirements. It will give you the experience which you have not expected, so without any further delay here is the list of best 4K gaming monitor of 2019. Best 4K gaming monitor of 2019. It is the king in curved gaming monitors which handles games well and also great for watching movies on. Finding a monitor with all such specification is difficult but BenQ has managed it thus considered as the best 4K curved gaming monitor. You will get a very smooth experience in fast-paced action games so it is a gaming monitor first and an entertainment display second. You can get this distinguished monitor easily from the market at a reasonable price with three years warranty. 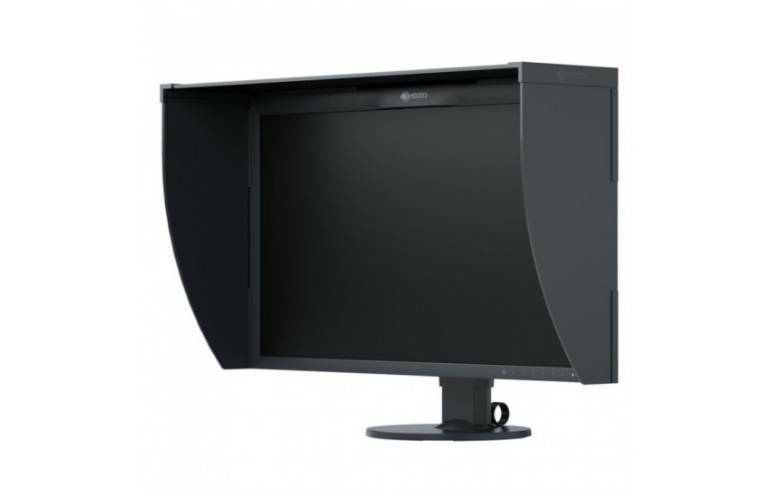 BenQ EX 3501 aimed at gamer and also positioned as video enjoyment monitor having a very large screen and offering a remarkable display of contents. The screen is easy to adjust for comfortable use, vertical adjustment is of 60 mm and tilting option is between -5 to 20 degree. Its installation is quite easy because the assembly is tool-less and no need for digging out but still maintain position and there is no chance of falling. The bezel surrounding the screen is neither very thin nor very thick giving this best portable gaming monitor an ultra-slim appearance, hence you can place multiple monitors side by side. Although bezels are very thin, but still the edges of each display will be visible while experiencing multi-monitor view. Although the bottom bezel is a bit larger because it contains buttons for screen menu and also contains light sensor extending out from the bottom. This light sensor detects the surrounding light and adjusts the brightness accordingly thus reducing the effect of eye strain but if you do not want automatic adjustment you can turn off the sensor. Apace with a sensor, a USB-C port is present. BenQ EX 3501R has a display port 1.4, two HDMI 2.0 port and a USB 3.0 port. It has two extra 3.0 port for additional connection. HDMI 2.0 port make EX3501R the best 4K gaming monitor for PS4 Pro. The 35-inch screen and 21:9 aspect ratio will give you a great view while playing games and watching movies and the curved design is an additional pleasure in this regard. Curvature of this monitor is 1800R, so, it will give you an eye-filling display although some people will be wishing for more but for gaming monitor such curvature is perfect. As the distance for optimum viewing is 1.8 meter for 1800R thus enable you to sit more closely to your monitor than if the curvature was more. Sitting close to the monitor give you more control over your game so therefore it is the best 4k gaming monitor. Using EX 3501R with window 10 machine will immerse you into your media, so this combination grip a range of resolution and aspect ratio having a good effect on input. It has old hat HDR and sRGB but you can also create your own picture mode by adjusting brightness. Simple is that it gives you best display with window 10 but, you can also run other windows while running other applications. Some pictures look little poor due to default system but hopefully, BenQ EX 3501R will come with a more wide range of configuration. On the bottom bezel, there are buttons for power and input switch. The other four buttons have only dots which make a little difficult to operate the screen menu. HDR mode gives a great display upon turning on but to turn on actual HDR mode it need a bit expertise. The elementary step you need to take is to install window 10 which will enable you to turn on HDR mode by going into the menu. Unfortunately, the yield is off-key which is annoying to use but we are hopeful that things will improve with time. So, for watching HDR videos window 10 is must but the experience is dissatisfying. Implementation of HDR on games like Call of duty is excellent giving you a great display of HDR enabled games. It has high refresh rate and great display so if you want the realistic experience of HDR enabled games you should go for this monitor. BenQ EX3501R response time is 4ms, offering great display and immerse aspect ratio will put together any fall off. BenQ EX 3501 is the best 4K gaming monitor with high resolution and excellent display. Its ability to support HDR enabled games is quite good although there is some difficulty in turning on HDR with window 10 but you cannot blame Benq for it because its the short coming of a window. In the nut shell speed-wise it is at the top of all HDR monitor so, if you want to enjoy watching ultra HD then this will deliver the most. Asus ROG Swift PG27UQ and Acer predator X27 are the only two monitors with 4K resolution, refresh rate of 144 Hz and 1000 certification of displayHDR . They also possess G-sync HDR technology thus making them the best 4K gaming monitor for PS4 Pro as well. But the unique features and design of Acer predator X27 make it the winner of this contest, which will be clear to you a bit later after going through the full review. Its design is such that will give your PC a new look and the company has put itself into gamer shoes while designing this best 4K monitor for gaming. Design of X27 is brilliant and its base is made up of aluminum having great rotation mechanism. Although X27 has a bit of bezel but they are not very distracting. Further, the screen is such that it provides perfect color temperature and is not affected by any source of light. Screen size is 27 inch, in addition, there is 3.5 mm audio jack and three USB 3.0 ports for secondary connections. Further, the best 4k gaming monitor offers great height, rotation and tilt adjustment with 20 degrees of movement in any direction. For videos, there is one Display Port 1.4 and one HDMI port 2.0. Although here it offers not much connectivity options actually there is a little need of connectivity because the display is such that is least disturbed. In addition, Nvidia G-SynC technology will provide you with a more smooth and runny motion of high-end games. OSD menu can be run by an adjacent joystick. You can turn on and off the sRGB but for standard content, it will be better to assent sRGB on because there is no need of calibration. The refresh rate is 144 Hz due to which the monitor’s temperature gets high. At this point the internal fan for cooling gets activated due to which some noise can be heard as the fan run a bit louder. This is annoying because we did not expect noise from such a high budget and best 4k gaming monitor. One of the unique features of Acer predator X27 is the auto black level and auto brightness. Top of the panel contains a very small sensor which upon turning on measures room light and then adjust brightness accordingly. So, during gameplay when circumstances change brightness is adjusted according to the conditions and therefore it is the best 4k gaming monitor. To get the maximum result of this best 4K curved gaming monitor some setting up is required which needs more work than the normal display. The monitor comes with its own display port and HDMI cables and if cheap cables are used then you will not be able to get a 144 Hz refresh rate. Moreover, you will need Nvidia graphics card because HDMI cannot grasp speed during 4K resolution. If the monitor is constantly run with a 144 Hz refresh rate then the color will drop to 8-bit but if you want 10-bit color then set the refresh rate at 144 Hz. In practical use, you can not differentiate between 8-bit and 10-bit color pictures, but we personally recommend to stick to the default setting if you want to save your time. Screen size is 27 inch and 4K content can be operated in three different modes like HDR plus, static and variable. Pixel density is very high with 163 pixels per inch so the picture offered by the best 4k gaming monitor is razor-sharp. In this way if someone is editing pictures and videos then will be able to see more details. Along with this brightness and contrast ratio is outstanding but the color temperature is a bit disappointing. The contrast ratio is 1071:1 and color temperature is 6752K slightly more than 6500K which one does not expect from such an expensive monitor but this can be overcome by turning on the variable mode. As the contrast reaches to 4572:1 and all other appearance of display remain the same so you will get an unbelievable image of 4k games and movies. Color representation and overall screen performance are extraordinary with the minimum dash off. Although the panel is IPS-type, the color accuracy is outstanding even in standard mode and the picture is perfectly gratifying. Except for LED TVs, no other screen is comparable with this best monitor size for gaming in performance and features because it gives you a 3D feel of pictures. 144 Hz refresh rate and 4 ms response time will make you the winner of any sort of 4k games. Up till now, no other screen can provide you such astonishing setup. On top of that it possess G-sync technology due to which motion look more runny and watery while playing games. However, due to 4 ms response time, some gamer may not like it because 1 ms response time monitors are also available but their other features are disappointing. Up till now, it is the best 4K HDR gaming monitor available with unique features and outstanding performance for both gamer and professional designer. As we all know nothing is perfect so is X27 with two shortcoming that is 4 ms response time and 27-inch screen but 144 Hz refresh rate, HDR and 4K combination make it above all. You can use this monitor for office, multimedia, media creation, and HDR gaming. In the office, you can use it for multitasking because it offers wide viewing angle. The 4K resolution will give you a fresh and clean picture while watching a movie through it. moreover, NVIDIA G-sync technology makes it the best 4K HDR gaming monitor due to which motion look runny and watery without any cutoff. It is a 4k gaming monitor with a resolution of 3840 x 2160. Screen size is 27 inch with a refresh rate of 60 Hz and possesses Nvidia G-SYNC technology thus making it one of the best 4K gaming monitor. Response time is 4ms and the color panel is 10-bit thus the game looks spectacular and smooth. High resolution give you a realistic view of graphics oriented games and fast response make you the winner of the head to head combat games when you are in competition with strangers on the internet. So, If you are spending money then you should get the best of the best monitor and Asus Rog Swift PG27AQ is on the top of best monitor’s list. Asus Rog Swift PG27AQ is designed such that best suit the gamer. The base is large and distinctly angled and the red glowing LED give it an eye-catching look. Middle of the stand contains an opening for a standardized cable system. Height adjustment can be made up to 5 inches up or down, tilting option is 20 degree backward and 5 degrees forward and rotation option is 60 degrees left or right. This offers great viewing angle and easy grasp to the ports of the monitor. Moreover, the monitor possesses an HDMI port, 1.2 display port, and three 3.0 USB ports and also there is an audio jack for headphones. While designing it the company has especially considered the requisite design of gamer and it will not make any problem in your setup. Asus Rog Swift PG27AQ is one of the best 4K gaming monitor with a resolution of 3840 x 2160. Screen size is 27 inch and the panel is IPS LCD, thus offering the best viewing angle. So, even if you are looking off-axis there is a little contrast shift and the picture looks clear and sound. The refresh rate is 60 Hz which will not give you the fastest response in high-end games but still more than enough. On top of that it possesses Nividia G-SynC technology holding together graphics card output and frame rate of monitor thus giving you a more astonishing and smooth experience of high-end games. PG27AQ has a 2W speaker and if you want privacy then there is an audio jack for headphones too. The backlight is flicker free and it contains low-blue light mode due to which your eyes will be stress-free. This feature enables you to sit for a long time at night whether you are playing a game or doing any project without eye strain. Asus Rog Swift PG27AQ possess various game visual modes which differ in color and contrast. Due to this, you can choose such color which will best suit your game and you will get a realistic display. Further, dubbed GamePlus technology enables you to aim at the center of the screen no matter what game you are playing or what gun you are using hence it is one of the best 4K gaming monitors. The screen size of the Asus PG27AQ is 27 inch with a refresh rate of 60 Hz and response time is 4 ms. The panel is IPS, the contrast ratio is 1000: 1 and it covers 100% sRGB which in turn offers 100% color accuracy in games and movies. Viewing angle is great and picture remains undisturbed even if watched from a different angle. In addition, the 4K resolution will give you a more realistic show of games. Game performance is more enhanced by adjustable brightness, although brightness is not uniform throughout the screen because some loss in details occur near the corners of the screen. Illumination intensity is very high, though the majority of the user may not use it to its maximum due to eye safety. Along with this the response time is 4 ms which is not the fastest because 1ms monitors are also available. Competitive gamers will not like it and will be difficult to overcome by graphics card but G-SynC comes into action here. When it is activated stutter disappears and eyes will find it more favorable. Asus PG27AQ possess different brightness mode but so far only racing mode is more suitable. All others are more or less saturated but racing mode gives you the best color balance and maximum accuracy. This monitor possesses five level filters for reduction of blue light. Moreover, Asus PG27AQ is flicker free because it benefits from DC power source. Asus Rog Swift PG27AQ is one of the best 4K gaming monitors that you will find in the market. It comes with great features for both game playing and movies watching. High refresh rate, fast response time and immerse display make it suitable for any game you like to play with maximum result. On top of that Nvidia G-SynC technology offers ice-smooth performance and the 2W speaker will give you the experience of a real battlefield. Along with this the monitor gives Ultra HD display with a resolution of 3840 x 2160 on a 27-inch screen. If you want a monitor with an outstanding picture and many other features then you should go for it. The display will immerse you into your media and take you into the world that you could only dream of. G-Sync module works fantastically well. Plenty of useful features in the on-screen menu. Displays with 4K refresh rates above 60Hz may be on their way this year. The combination of G-Sync and 4K bumps the pricing of a display considerably. Predator series of Acer brings innovative technology which is earning the attention of gamer day by day. Screen size is 27 inch with Ultra HD resolution of 3840 x 2160. The panel is IPS-type, pixel density is very high and the picture offered by it is smashing razor-sharp. Moreover, Nvidia G-SynC technology will give a smooth experience of high-resolution games thus Acer predator XB271HK has placed itself in the list of best 4K gaming monitor of 2019.Response time and refresh rate both are very high that will give you undisturbed picture either you are playing a high-resolution game or watching 4K videos. In the gaming world due to its outstanding performance, features and design it is the best 4K gaming monitor G-synC but is not the best cheap gaming monitor due to its high price. Base and neck of this best portable gaming monitor are attached by angular and pointy feet having a red metal tip.XB271HK offers good adjustment option, you can lift it to 5.9 inches up and can rotate left and right also, further it offers 30-degree tilting option as well. So, you can adjust it in a position which will be more suitable and comfortable for you. The panel is IPS-type with a response time of 4 ms which is slower then TN panel having a response time of 1 ms but its viewing angle and color accuracy are outstanding. The resolution offered by it is 3840 x 2160 due to which it is the best monitor for 4K gaming. The refresh rate is 60 Hz and possess Nvidia G-SynC technology, so your picture will be more smooth and motion free. The bezel is very thin on the edge of microscopic and secondary connections offered by it encircles HDMI port 1.4, display 1.2 port and two USB port 3.0 on the left side. It possesses 2W speaker located behind the panel which will give you next level experience of sound-oriented games but if you want privacy then it has 3.5 mm audio jack too. XB271HK’s lower bezel contains buttons through which you can navigate On Screen Display menu but it will give some users a distasteful exposure which is very disappointing for purchaser on such a best gaming 4K monitor. Moreover, it possesses Game Mode through which you can set color temperature, brightness and response time thus making it the best 4K HDR gaming monitor. Acer predator XB271HK is the best monitor size for gaming with an outstanding display and performance.27 inch screen size and 3840 x 2160 is the perfect balance of size and resolution. During tests, its results for games like Doom and battlefield were maximum with a more smooth and sharp picture. Although its performance is not very great for a game like Battlefield 1 its overall gaming performance is admirable. Xb271HK possess Nvidia G-SynC technology which will give you a quieter and motion free display of 4K contents whether games or movies and offer a mind-boggling 4K resolution. Playing high-resolution games and watching Ultra HD movies through this best monitor for 4k gaming will be an entirely new experience for you. Color accuracy of XB271HK is amazing, further its refresh rate is 60 Hz and response time is 4 rms due to IPS-type panel and colors of pictures offered by it are fresh and crusty. Both response time and high refresh rate make the motion runny and watery without any dash off. Moreover, the production of black and white color is with very fine shades of both color without any turmoil dirt. Due to the response time of 4 rms some flickering is noticed which are not uttermost but in the middle range. Acer predator XB271HK is definitely best monitor for 4K gaming with distinguished features and performance. Both gamer and professional designer will find it amazing due to its unique features. Although there is a shortcoming in everything no one can deny its overall performance. It possesses Nvidia G-SynC technology due to which motion looks very smooth and runny. Fast response time and high refresh rate make it suitable for any sort of game you want to play. In short, if you want a realistic glimpse of 4K contents then Acer predator X271HK will give you maximum result with no disappointment at all. It has an immerse and 4K screen due to which it is the best 4K gaming monitor of 2019 making games and movies more entertaining. It is UHD FreeSync LCD monitor featuring VA panel. So, if are looking for a single display suitable for both work and play then LG-32UD59-B is outstanding. LG-32UD59-B composed of blind black chassis, have a slim border and the design stand is an ace line. Bezels are neither very large nor very thin so, it gives the user a good view of the large screen without any hurdle. It looks like normal display but features and performance shown by it are unique. LG-UD59-B allows free excess to its OSD via multi-directional joystick and due to the bottom bezel, the placement is very confining. It may look heavy but it is one of the lightest 32-inch monitors and the package is well-adjusted due to the Arc Line stand. Although it needs a bit tilt and height adjustment, it is fine for most of the purchaser. LG-32UD59-B can be easily mounted on the wall. It has 1.2 display port two HDMI 2.0 port and only 3.5 mm jack and no other connectors apart. But, the purchaser will have enough vacancy for other connections. So it is one of the best gaming monitors under $400 due to its unique features. It has an immerse display but its sound system is not very up to the mark due to the built-in speakers. As we know nothing is perfect but overall the design and features of LG-32UD59-B is excellent. LG-32UD59-B has a 32-inch screen size and its resolution, refresh rate and response time are 3440 x 1440, 60 Hz and 5ms respectively. The backlight is LED and has a contrast ratio of 3000:1. Although it does not support HDR the extra depth due to the VA technology is interesting. LG-32UD59-B covers 99% sRGB which is more than enough for a large population of the purchaser. Those purchasers who plug and play can use game filter present in its OSD so if you want to enjoy your 4K content right now go for LG-32UD59-B. The extra depth on the screen is achieved due to high contrast ratio so, if you are playing a game like Vermintide 2 then your best choice will be LG-32UD59-B but if you want to immerse into your media then better use it in the dark room. Although it produces great pictures, natural light affects its quality, further viewing angle offered by it is poor due to VA panel type. So by sitting closer to the monitor, the side will appear a bit darker than the rest monitor. The pixel response time of LG-32UD59-B is quite fast giving you a very smooth motion and AMD FreeSync technology is fully supported it the best 4K gaming monitor. Further, if you are sensitive to flickering then Lg-32UD59-B will be your best choice because there is no flickering due to the smooth backlighting. LG-32UD59-B is one of the best 4K monitor having great features and showing outstanding performance. If you are looking for a monitor suitable for both work and playing then it should be your choice. It has a large screen, good resolution and fast response time which makes it preferable for any activity. Although it does not support HDR extra depth provided by it due to due to its VA technology is admirable. Natural light makes its screen dim but color accuracy is more than enough which give you the best quality picture in both game playing and movie watching. Further, the minor details of the picture during editing can be seen easily due to its gigantic screen size. Thus if you want to immerse into your media and want next level experience then go for LG-32UD59-B. This Ultra HD 4K monitor has a good display and great resolution. Screen size is 23.8 inch and resolution is 3840 x 2160 thus you will get tetra time more detail than the classic full HD monitor. It gives you over eight million pixels enabling you to notice the minor details of pictures due to which it is the best 4K HDR gaming monitor.You can connect it to your PC through many ports like display port and HDMI port. Moreover, it can be connected to a tablet or smartphone by optional HDMI cable. So, if you are looking for the best 4K gaming monitor then here it is. Dell P2415Q has a really good and satisfactory stand which allow the user to find the best viewing angle by tilting it. You can make height adjustment more comfortable for yourself by moving it up and down. The outstanding stand enables the users to avoid shuffling of the cable providing them a standardized cable system. The company has made a compromise between style and functions. Some user may not like its style but, at the same time, it offers great function which will satisfy you. The screen contains few touch buttons at one side but the design of the screen is such that it will be from fingerprints. Dell P2415Q has four 3.0 USB ports in which three are downstream and one USB port is upstream and on the right side of a stand of this best 4K gaming monitor is AC input. In addition, it has a display port 1.2 and HDMI port is 1.4. Dell P2415Q provide four time more resolution than full HD and provide an eye-opening display due to over 8 million pixels. So, if you are creating visual art and want to notice even minor details then this should be your choice. Color accuracy is great because it can poll more than a billion noticeable colors. It offers 183-degree viewing angle thus allowing to move your position relative to the screen and picture will remain sound and the coating on the screen enable you to sit for a long time. Some photo editor does not like the set of options offered by the screen because they want to have more control on the screen which is a shortcoming for them. But if you are pleased as punch with the default setting then the easiness of operation will be a real bonus for you. The additional light passing through LCD cause light bleeding but, the coating on screen keep your eyes free of stress. The screen contains touch buttons on one side through which you can adjust the OSD menu. Dell P2415Q covers complete color range due to which it is in the list of a best 4K gaming monitor. Both in-game plying and movie watching it will offer you a great display because after performing tests all the shades were completely balanced and eye-catching and in photo editing, it can save you a lot of time due to the easily adjustable menu. Dell P2415Q has not a very fast response time because its response time is about 11.85 ms and it remains the same while game mode is on. Latency is very low, so it will give you a new experience of 4K content on screen due to its high refresh rate of 60 Hz. So gamer will find this monitor very satisfactory because whatever game you are playing it will give you a good result due to its high refresh rate. Although some user may not like it due to its slow response time its overall performance is that of a best 4K gaming monitor. Further, the monitor can be positioned easily and firmly and you can also mount it on the wall if you have little space on your desk. Moreover, its glass is arsenic free and the panel is mercury free so this best budget 4K gaming monitor is both healthy and environmentally friendly. Dell P2415Q is an all-rounder monitor having high resolution, moderate response time and high refresh rate. It has good color accuracy ranging over a billion of distinct color and menu adjustment is simple but some photo editors may not find it satisfactory. Although there are abundant 4K gaming monitors its features make it unique. We recommend it for both gamer and movie lover. if your budget is low but wants 4K experience, further Professional people can also satisfy their needs with it. If you are looking for a 4K monitor with all abilities then Dell P2415Q is waiting for you which will give you such experience that you have never expected before. It is classified into two types P and W the difference is only in color of the model but no functional difference can be seen.W is white in color and P is black and both are 4K UHD supported monitors.They are very stylish monitors that will give you PC a new look and apart from style their functions are also remarkable having quite a big screen and very high resolution. They offer a great display of 4K contents both videos and games. They have a fast response time and high refresh rate so if you either play a game or watch movie their yield will be maximum. LG 27UD68 gives an eye-catching look with a 27-inch screen and the bezel surrounding the screen give a little bigger display. The stand is metallic silver and is curved like a foot. this makes the position of the monitor firm and making it the best 4K curved gaming monitor. The stand is not actually metallic but is made up of some plastic-like material. The adjustment is limited due to smaller tilting option and offers five connectivity ports located on the sides of the monitor. The menu for adjustment on the screen is very broad enabling you to control brightness, volume, and picture mode through it. There are no hard external buttons due to which users can easily exceed the menu. The further split screen gives the option of multi-function enabling you to perform several functions at the same time without any hurdle. Back of the monitor contain two HDMI ports and one 1.2 display port. LG 27UD68 has AMD FreeSync technology due to which it is in the list of the best 4K gaming monitor of 2019 enabling you to play 4K games and watch 4K videos very smoothly. It has a fast response time and refreshes rate is 60 Hz, this will play any sort of game without any pause. LG 27UD68 has a good quality display and cover 99% sRGB spectrum and distinguishing over a billion distinct colors. It has a high degree of brightness which will give you outstanding pictures of graphics oriented games. Viewing angle is very good giving you an un-distorted picture even if you change your position relative to the monitor. Moreover, if you are playing a game or doing a big project, you can sit for a long time without eye stress. Performance offer by LG 27UD68 is remarkable with excellent color accuracy and will give you a more realistic view of 4K contents. Color and contrast are high thus offering a wide viewing angle. It is an IPS PC monitor giving you a fast response time, so outstanding for both game playing and video editing. Although it has good color accuracy and good design some purchaser may find it unsatisfying which is a shortcoming in it but overall it is the best 4k gaming monitor. The response time of LG 27UD68 is 5 ms and has a high refresh rate of 60 Hz making it suitable for both graphic oriented games due to great display and head-to-head combat games due to fast response time. The smoothness of the games is further increased by AMD FreeSync technology giving you a realistic view of 4k contents. Further, it offers good secondary connectivity options with a display port of 1.2 and HDMI port is more than normal 2.0 making it best 4K gaming monitor for PS 4 Pro and also enable you to connect the latest graphics cards. As we have already mentioned that some users have a complaint about design and supporting stand, but its overall performance is praiseworthy. LG 27UD68 has great color performance and good brightness and providing advance connectivity options. It plays 4K contents whether games or movies very smoothly and motions are runny and watery satisfying both gamer and professional designer or photo editor. Although some users find its adjustment options disappointing but its performance is more than enough. Game modes, screen split and joystick OSD menu make it unique. So, if you are looking for a realistic display of 4K games and videos then LG 27UD68 will give you maximum result. It offers impressive refresh rate settings. The contrast ratio is simply awesome. It offers true 4K results with 4096 by 2160 pixels. You will definitely appreciate its wide color range support. HDMI 2.0 port is missing. Response time is quite slow with 9 ms rating. You will find this monitor highly expensive. CG318-4k is a powerful 4K monitor having the best visual specs with a 31.1-inch screen and has a resolution of 4096 x 2160 pixels. It has impressive CGI and VFX options for broadcast producers and offers a wide and self-adjustable setting of the display.EIZO Coloredge CG318-4K offers amazing features for a professional editor and other office use and also offer a great display of 4k games to a game lover so both professional designer and game lover will find it amazing. The detailed review of it is below. CG318-4k is not an ordinary 4k monitor but goes beyond 4k. It offers Ultra HD resolution that can fully support digital cinema. Moreover, it offers great viewing angle so even if you are sitting far from the monitor the picture will not be distorted. The contrast ratio is 1500: 1 and covers 99 % of the Adobe RGB color space. Both display and HDMI input support 10-bit color thus offering supreme color accuracy due to 16-bit 3d lookup. It has a single 1.2 display port and to give you the realistic view of a 4k image you might need your old graphics card because HDMI has to do it 30 Hz. Previous designs of EIZO were old fashioned but CG318-4K has the latest design having very slim screen bezels compared to the old model. It offers a little tilt adjustment, but the height adjustment is up to 149 mm which will amaze majority of gamer. In addition, supporting stand enables you to carry this best monitor size for gaming from one desk to another easily. Two HDMI port, single display port, and three USB port make connectivity to the monitor a lot easier which are located on the left side of the monitor. Further, you do not need to spend extra money on buying wire because display port cables are already accommodated thus making it one of the best 4K gaming monitor. EIZO CG318-4K contain touch buttons on the screen for OSD menu adjustment. It contains software which matches the on-screen display and suitable color according to display. So, all you have to do is to just press a few touch buttons and will get your wishing display. Backlight adjustment is quite easy, just press the touch buttons and get your required level of backlight. Further the touch buttons are designed such that you can easily understand its functioning and do not need training for it, moreover, the response of the buttons is quite reliable. Once everything is set up then there is little need of control menu because the pre-installed software will do everything for you. If still, you need some adjustment of brightness or color then the control menu is very easy to access and can set the brightness at a level that will best suit your display. Eizo ColorEdge CG318-4K is a different class monitor in performance which contains an anti-glare layer on the screen, allowing to sit for a long time. So, if you are in the middle of a big project or playing a game for long hours your eyes will be stress-free. In addition viewing angle and color, accuracy is excellent thus if you are looking from a different angle motion will be smooth and without pulsation. The pixel density of this best monitor for 4K gaming is very high giving you a realistic show of both 4K games and videos. One other astonishing fact of CG318-4k is that LED backlight is outstanding. You can not detect a black and white spot on the screen with barren eyes even if you are looking across the panel look of the color will remain unshakable. While performing test a little shortcoming is seen but practically you would not notice it. As the market is full of best 4k gaming monitors, but people whose work depends upon pixel density and color accuracy then CG318-4k will not disappoint them. This monitor offers a warranty of 10000 hours for brightness and color accuracy, certainly, it will clear all your doubts. CG318-4k will give your PC a new giving you all that you are looking for and will offer you an unbelievable display of 4k games and videos. Further professional designers will find its features remarkable for their work. In short, if you want to satisfy all your needs under a single screen then go for it. Whenever there is the talk of 4K gaming monitor then its feature and design is the first priority to consider. Samsung UE590 is offering unique features and astonishing design. It offers highly detailed 4K image and G-SynC technology, thus giving you a great display of games and movies. It offers a great viewing angle and easy adjustment options.Screen size is 28 inch, a resolution is very high and response time is very fast. Adjustment option is very easy, but gamer will find it slight unsatisfactory if sitting for a long time, however, its overall gaming performance is marvelous. Furthermore, its performance and color accuracy will amaze you. Samsung UE590 exterior design is remarkable with one each thick bezel on all sides. A stand is black and slightly curve, but the silver edge at the base make it more fashionable and the silver lining on the side of the screen make it more eye-catching. So, Samsung UE590 will give your PC a new look and it is the best cheap gaming monitor with outstanding features. Sidewise adjustment is good but height adjustment is least appreciable because different people have different heights, it offers only about 5-inch clearance from a base, so centered viewing will be difficult for taller users. In addition, it offers good connectivity options with two HDMI 2.0 port, one 1.2 display port and an audio jack for headphones. One outstanding feature of UE590 is that you can use a 4-way joystick to navigate OSD menu thus making it the best 4K gaming monitor of 2019. The body has round edges with black brushed plastic material. Viewing response of this best 4K gaming monitor for PS 4 Pro is with 170 degrees by 160-degree ability. Response time is 1 ms due to HDMI 2.0 port which is much more than 4 ms or 9 ms of other monitors. One of the sad parts of this monitor is that USB port is missing. Samsung UE590 is in two sizes, this review is about 28 inch. Screen size is 28 inch, panel type is TN with 60 Hz refresh rate and response time is 1 ms possessing all the qualities of a best 4K gaming monitor. It gives a highly detailed image of 4K content and offers great color accuracy although panel type is TN. There is 99 % sRGB coverage which is not entirely downer keeping the price in mind. This monitor is not suitable for professional designer and photo editor but display offered by it in 4K gaming and videos is remarkable. The TN panel speed is a bit slow but if you are noticing such minor shortcoming then it will be better to go for a higher product like Asus PG27AQ which is much costly then this best budget 4K gaming monitor. G-SynC technology makes game playing more smoothly thus during head to head combat games with strangers on the internet it will make you a winner of this contest. It has an immerse display due to which you will get a realistic view of graphics oriented games. Once the graphics setting is optimized it will give you maximum Free SynC within its implementation limitations. Picture quality is not up to the mark due to inadequate contrast ratio. Dark content of the picture is not shown clearly by it and bright room performance would be better. Sloppy screen effect is not apparent due to honorable grey uniformity. Display setting is quite easy due to four linear buttons on the monitor. Moreover, it possesses Magic Angle technology which changes screen lighting according to a position of a display monitor. Samsung UE590 is a great product with excellent performance and unique features.1 ms pixel response makes it suitable for games where speed play the key role. Free SynC technology make it more suitable for all kind of games but AMD graphic card would be needed for better performance. Although there is little adjustment option its overall gaming performance is more than enough. High resolution and larger than average screen give it a good usable space. High refresh rate and fast response will give you a more smooth and remarkable experience of 4K contents whether games or videos. 4K gaming monitors are very expensive due to which the majority of the gamer is unable to witness the gratifying resolution offered by them. In addition, there is a need for a graphics card and more strong CPU for the smooth and runny motion of pictures. But thanks to Asus MG28UQ which is providing all these at a low price due to which it is the best gaming monitor under $400.Display and performance offered by it are remarkable due to FreeSynC technology. Screen size is 28 inch and provides multiple options for secondary connections. Fast response time, excellent contrast ratio and high refresh rate make it the best budget 4K gaming monitor having all the necessary features for a hallucinatory experience. Asus MG28UQ is a fast 4K gaming monitor that offers unique features and most sizable display for which gamer are dreaming. Body is made up of graphite giving it a black color. A stand is high-reaching and thin but the bezel is a little thick due to which it gives a bit ungraceful look. It offers great adjustment options with 60-degree rotation both left and right, 5-inch height adjustment and 20-degree tilting option due to which it is the best portable gaming monitor. Further, the base of the monitor contains rubber pads which provide great stability and left the side of the monitor contains secondary connection ports which are easily reachable. MG28UD provide the widest color spectrum due to different modes like Cinema Mode, Racing Mode, Scenery Mode, sRGB Mode, and FPS Mode. Moreover, there are filters for blue light and also possess Flicker-Free technology for pleasant and lengthen practice. Back of the monitor contain 5-way joystick for controlling contrast, brightness and color temperature, further its design is such that can be easily escalated on the wall and also possess 100 x 100 mm VESA holes. Asus MG28UQ contain one display port 1.2, one HDMI port 2.0, two HDMI 1.4 ports and three USB 3.0 ports for secondary connections. A pair of 2W speakers present which will give you great sound while watching a movie or playing a game but if you want privacy then 3.5 mm audio jack is also available. Display and performance of this 4k gaming monitor will be eye-opening for a gamer. Screen size is 28 inch and panel type is TN due to which response time is 1 ms. The contrast ratio is very high that is 1000:1 and also the screen has AG layer so, the display will remain undisturbed while using it in a lighted room. Although it possesses different modes the best image quality is offered in Racing Mode and also the color accuracy offered by sRGB Mode is anyway fine. One disappointing point is that the contrast ratio falls to 900:1 when brightness reaches to its maximum level. Viewing angle is great but some user will find it disappointing that absolute color accuracy is shown when the brightness of the screen is limited to 170cd/m2 during sRGB Mode. Moreover, the glow of flush from the center of the screen is inconsistent but in practice, you will not notice such things with the immense periphery. Asus MG28UQ has a very high refresh rate that is 60 Hz and possess FreeSynC technology which will give you a more creamy and silky experience of 4K contents. So in both graphics oriented games as well as speed oriented games its performance is amazing. Display of this best monitor for 4K gaming is 3840 x 2160 giving you the minor details of pictures and fast response make you the winner of the head to head combat games where speed play the key role. Further crosshair feature gives you more advantage over your enemy offering four crosshairs which you can adjust according to your game requirement. Asus MG28UQ is the best 4K FreeSync monitor with reasonable price. Some monitors are very expensive but if you look at its performance then it is not quite satisfactory. But Asus MG28UQ is the best budget 4K gaming monitor having all the required features that will give you an amazing display with great resolution. The quantity of 4k monitors is very high but which one has the best quality that is quite difficult to find for most of the purchaser. If you want to save some money and also looking for a monitor with excellent features and performance then you should choose the Asus MG28UQ. It will not disappoint you whether you are a gamer or a professional designer due to its immerse display, fast response time and high refresh rate. Gaming monitors come with different size, design, features and of course price. They have different performance and price depends upon the performance shown by it and features it offers. It is true up to some extent that the expense will be the monitor the better it will perform but low price monitors are also not entirely bad or useless. They possess some unique features and show outstanding performance. In addition, they are very durable and can be used for a long time. 4K gaming monitor is a class and it will be quite difficult to deeply observe and check its each and every part. Some of the most important factors for gamer which they should keep in mind while buying a 4k gaming monitor are as follows. These factors have a considerable effect on the overall performance of a monitor. Moreover, you can apply these criteria for any monitor and will help you find the most suitable monitor for gaming, movie watching or professional designing. One of the most important thing for evaluation of a best 4K gaming monitor is its resolution. Different monitors offer different resolution like 1080 ( Full HD), 1440 ( QHD ) and 2160 ( UHD ). More resolution more clear image and more price but you should remember that for supporting the high resolution you should have modern GPUs.So it’s up to you which resolution monitor you select keeping your budget and GPUs in mind. The number of frames per second or the displayed images refresh by monitor per second is the refresh rate of the monitor. Higher the refresh rate more realistic will be the display. It is measured in Hz and up til now we have 60 Hz, 144 Hz, and 240 Hz but again high refresh rate gives you the best result when you have a powerful graphics card. SynC technology come in two forms either Free SynC or G-sync which give you tear-free screen while playing the game. Free SynC needs AMD card and G-SynC needs Nvidia card. Although G-SynC offers great result you have to spend more money because Nvidia card is more expensive ( $100 or $150 ) than AMD card. 4K gaming monitors use two types of a panel that is IPS and TN. Both have positive and negative points like IPS offer good quality image and great viewing angle but it offers 4 ms response time and TN panel offer 1 ms response time which is very fast than IPS panel. The budget does not play a role here because both expensive and budget-friendly monitors have used both IPS as well as TN panel. Time taken by pixel to switch from black to white is termed as a response time of monitor. As we have already mentioned it depends upon the type of panel technology used. You have to make a compromise between visual quality and responsiveness. You can differentiate between 1 ms and 4 ms only when you compared them side by side otherwise no noticeable difference so keeping your game in mind you should choose a monitor with suitable response time. Screen size is not a very big deal, the big screen will give you a big image and a small screen will give you a small display. Gaming monitors are in the range of 21 inches to 28 inches but some recent monitors have gone as big as 32 inches. But forgetting astonishing display on a big screen like 32 inches you have to sit a little far from the monitor. Majority of the people sitting near to the monitor while playing a game so 28-inch screen size will be most ideal for you because they offer a perfect balance of optical transparency and watching gratification. Gaming monitors possess various ports for secondary connections so while buying a monitor you should also give attention to the connectors offered by it. Gaming monitors have display ports, HDMI ports, USB ports, and an audio jack. Display port and HDMI port are in the range of 1.4 and 1.4/2 respectively and are used to transfer audio and video on PC. The better will be these ports the better will be the display offered by a monitor.USB ports are used for USB connection and audio jack for headphones or speakers connected directly to the monitor, so you should choose such a monitor that offer multiple secondary connection options. The market is full of 4K gaming monitors but we have chosen some of the best 4k monitors for you after deep observation and personal experience. All the essential features of a gaming monitor are briefly explained along with the price tag. Keeping your budget and needs in mind you can choose the best monitor after reading this article.